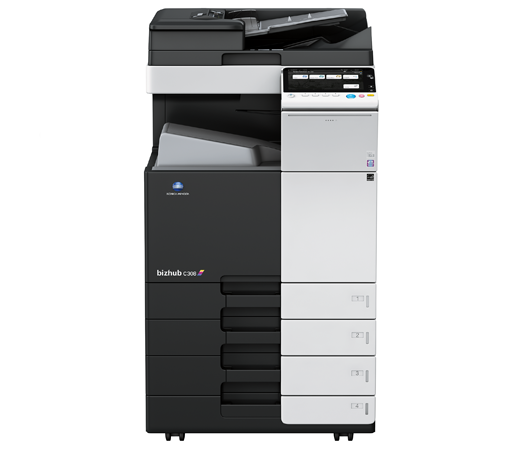 Workflow Group stock Konica Minolta Bizhub C308 for photocopier lease or purchase at highly competitive rates. Perfect high speed colour photocopier for growing businesses. The bizhub C308 is an intuitive colour photocopier providing productivity features to speed your output in both colour and B&W, including fast 30 ppm printing, optional single-pass dual scanning to bring originals into your workflow faster, powerful finishing options for right-size scalability and enhanced control panel which now features a new mobile connectivity area.